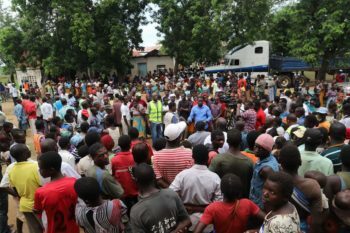 ACT Alliance members are responding to the severe destruction wrought by Cyclone Idai which made landfall in the low-lying coastal city of Beira, Mozambique on Thursday, March 14, 2019. The cyclone moved inland on the weekend, destroying much that was in its path as it barrelled through the province of Manicaland, Zimbabwe and parts of Malawi. UN officials are calling it one of the worst weather-related disasters to hit the southern hemisphere. The cyclone triggered widespread floods and winds of up to 177km/hr affecting hundreds of thousands of people. Houses have been destroyed, agricultural fields swept away, rivers are at their capacity and bridges, and other communications infrastructure have been demolished, making it difficult for rescue crews and humanitarian organisations to reach those who have been most affected. While the extent of the damage continues to be discovered five days after the cyclone, the death toll has increased to at least 202. These numbers are anticipated to increase as heavy rainfall continues to batter Mozambique and Zimbabwe. The ACT Zimbabwe Forum and ACT Mozambique Forum are responding to the devastating impacts of Cyclone Idai. In Zimbabwe, at least 98 people have been killed, and over 200 are missing. At least 20,000 houses have been partially damaged in the south-eastern town of Chipinge, and 600 have been destroyed. People are being sheltered in churches and temporary structures set up by UN agencies. The ACT Zimbabwe Forum and ACT Mozambique Forum are responding to the devastating impacts of the cyclone. 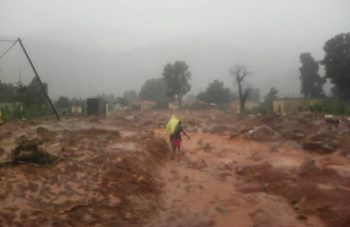 “The destruction caused by Cyclone Idai will take years for communities to recover, but Zimbabweans have demonstrated that communities will not stand alone,” said Sostina Takure, ACT’s Zimbabwe Forum Coordinator who is currently in the field. In Mozambique, the majority of those affected are in the provinces of Zambezia, Niassa and Sofala. With the increased rainfall, flood waters are anticipated to rise approximately eight metres, putting at least 350,000 additional people at risk. 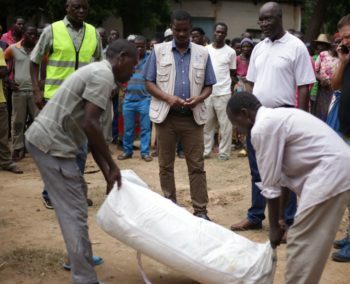 Cyclone Idai has left thousands of people in a dire situation with many unmet essential humanitarian needs such as access to food, clothing, blankets and hygiene kits. An initial assessment conducted by ACT members found that orphans and other vulnerable children have been particularly affected. ACT’s Zimbabwe Forum and Mozambique Forum continue to assess the impact of the disaster to understand the needs and vulnerabilities better so that they can provide immediate assistance to minimise loss of life and to ensure that the needs of the most vulnerable are met. The ACT Alert for Zimbabwe is here. The ACT Alert for Mozambique is here.